Saturday, October 27 from 7:30 – 10:30 p.m.
Friday, November 9 from 7:00 – 9:00 p.m.
Manon Cleary, Big J, 1977. Oil on canvas. Twenty five years ago Judy Greenberg and Jack Rasmussen teamed up to bring the highest quality contemporary art found in the Washington Metro region to galleries and resident artist studios located behind a strip mall in Rockville, Maryland. Rockville Arts Place (RAP) was born. Visitors encountered compelling exhibitions that reflected the vibrant community of artists living and working in the area. Offering arts education, studio and exhibition spaces, RAP became an important addition to the cultural climate of the Rockville community. Now renamed VisArts and housed in a glass walled building on three floors in Rockville Town Square, the tradition of excellence in the arts continues. VisArts presents Review <-> Renew co-curated by Judy A. Greenberg (Director of the Kreeger Museum) and Jack Rasmussen (Director and Curator of the American University Museum at the Katzen Arts Center) in celebration of the 25th Anniversary of VisArts. This group exhibition brings together the renowned artists who brought critical regional success to the fledgling organization, Rockville Arts Place (RAP). The artists selected for the exhibition all exhibited at RAP while Greenberg was President of the Board and Rasmussen was Executive Director. In the Kaplan Gallery, paintings by Lisa Brotman, Manon Cleary, Sam Gilliam, Tom Green, Margarida Kendall Hull, and Joe Shannon are on display. Early and more recent works by the artists are exhibited alongside Paul Feinberg’s photographs of the artists early and late in their careers. The paintings and photographs are accompanied by interviews with the artists conducted by Feinberg. In the Common Ground Gallery, Review <-> Renew features more outstanding artists important to the history of VisArts. Margaret Boozer, Robert Devers, Tim Tate, and Mindy Weisel, working in glass and clay, have received wide acclaim for their exquisite sense of material and rich, potent forms. They continue to push the boundaries of ceramic and glass traditions with astonishing intelligence. Review <-> Renew offers a brilliant sample of the artists who helped shape the history of VisArts and the region’s artistic excellence. Their work has found its way into important collections, museums and exhibitions around the world. Rasmussen’s and Greenberg’s choice of artists and art, past and present, embodies the idea that the practice of making art, particularly art of the highest quality, is a process of patient accumulations and provocations over time. The resilience of VisArts as a non-profit art center is due in large part to its long list of exhibiting and resident artists. This celebratory exhibition acknowledges the past and looks forward with renewed vigor and relevance. Review <-> Renew will be on view in the Kaplan Gallery and Common Ground Gallery at VisArts from Sunday, October 28 – Saturday, December 29. The public is invited to attend a free Opening Reception on Friday, November 9 from 7:00 to 9:00 p.m. VisArts is located three blocks from the Rockville Metro station at 155 Gibbs Street, Rockville, MD. Gallery Hours are Wednesday, Thursday, and Friday from 12 p.m. to 9 p.m., and on Saturday and Sunday from 12 p.m. to 5 p.m. For more information, please visit www.visartscenter.org,or call 301-315-8200. Admission is always free. Manon Cleary (b. 1942 – d. 2012) Born in St. Louis, Missouri, Manon Cleary earned her MFA from Temple University, spending her first year in Rome, Italy. There, she studied the work of old masters, an experience to which she credited her becoming a figurative artist. In 1970, she moved to Washington, D.C., and began a teaching career at the University of the District of Columbia. Her work has been displayed internationally and is in permanent collections at the Art Institute of Chicago, Chicago, Illinois, Brooklyn Museum, Brooklyn, New York, Phoenix Art Museum, Phoenix, Arizona, and National Museum of Women in the Arts, Washington, D.C. Manon’s work has been exhibited at the Osuna Gallery, Washington, D.C., Addison/Ripley Fine Art, Washington, D.C., Maryland Art Place, Baltimore, Maryland, Jackson-Iolas Gallery, New York, New York, J. Rosenthal Gallery, Chicago, Illinois, and Grand Palais in Paris, France. Sam Gilliam (b. 1933) Born in Tupelo, Mississippi, Gilliam earned his MA in painting at the University of Louisville before moving north to Washington, D.C. Absorbing the innovations of the Washington Color School, Gilliam quickly moved beyond it, following his own original and radical impulse to take over the exhibition space and not confine his painting to the picture plane. His work is in important collections across the United States, and he has had major retrospectives at Corcoran Gallery of Art, Washington, D.C., the Speed Art Museum, Louisville, Kentucky, and the Contemporary Art Museum, Houston, Texas. Gilliam’s work is included in public collections at the Metropolitan Museum of Art, the Museum of Modern Art, and Whitney Museum of American Art, New York, New York, Szépmüvészeti Múzeum, Budapest, Hungary, and Tate, London, England. Tom Green (b. 1942 – d. 2012) After receiving a BA and MFA from the University of Maryland, Green moved to Washington and became a hugely influential artist and teacher. He has exhibited in numerous solo and group shows, including Whitney Biennial, New York, New York, and 19 Americans at the Guggenheim Museum, New York, New York, Tretyakov Gallery, Moscow, Russia, and in the Washington, D.C. region, at the Kreeger Museum, the American University Museum at the Katzen Arts Center, Smithsonian Museum of American Art, and The Corcoran Gallery of Art. He received two National Endowment for the Arts Fellowships, a Maryland State Arts Council Individual Artist Award, and residencies at the Vermont Studio Center and the Virginia Center for the Creative Arts. Green’s work is in public collections, including the Guggenheim Museum, the Baltimore Museum of Art, Corcoran Gallery of Art, and Smithsonian American Art Museum. Lisa Montag Brotman (b. 1947) After graduating with a BFA from the State University of New York at Buffalo, Brotman moved to Washington, D. C. where she attended the Corcoran College of Art + Design and earned an MFA from the George Washington University. Brotman has received two Individual Artist Awards in the Visual Arts from the Maryland State Arts Council. Her work has been exhibited in Europe and the United States, including the Washington, D.C. area, at the Corcoran Gallery of Art, the American University Museum at the Katzen Arts Center, Saint Mary’s College of Maryland, The George Washington University, Longwood University, Washington Project for the Arts, Rockville Arts Place, School 33 Art Center, Arlington Arts Center, and Gallery Neptune. Brotman’s work has been exhibited in five solo shows at Gallery K, London, England and in a mid-career retrospective at the Maryland Art Place, Baltimore, Maryland. Margarida Kendall Hull (b. 1935) Born in Lisbon, Portugal, Kendall Hull attended the University of Lisbon/College of History and Philosophy. After moving to Washington, D.C., she graduated from the Corcoran School of Art + Design in 1973 and earned her MFA in 1982 from the Catholic University of America, Washington, D.C. 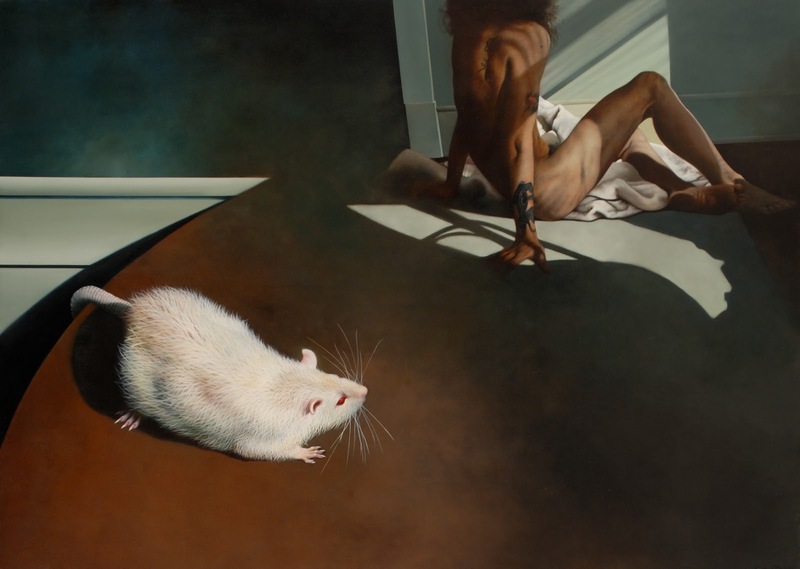 Her paintings of alternative realities were shown regularly in Washington, D.C., by the Osuna Gallery and Gallery K. For the past ten years she has been represented by Galereia de Sao Mamede in Lisbon, Portugal. Kendall Hull’s work has been in museum exhibitions at Gulbenkian Museum, Lisbon, Portugal, Museum of Contemporary Art, Lisbon, Portugal, and the Art Institute of Chicago, Chicago, Illinois. Her works are in numerous public and private collections in the United States and Portugal. Joe Shannon (b. 1933) Born in Puerto Rico, raised in Washington, D.C., Joe Shannon studied art at the Corcoran School of Art, but he was largely self taught. Looking at masterworks, lots of practice and self-criticism revealed his direction. Shannon worked for the Smithsonian for 26 years as an exhibition designer and curator. He has organized world class exhibitions, and written articles in major art magazines and newspapers, and juried many shows. Shannon teaches currently at the Maryland Institute College of Art in Baltimore; he lectures, and has taught at other universities. His work has been shown in galleries and museums around the world and is in many important collections, private and public, including Corcoran Gallery of Art, Hirshhorn, and Brooklyn Museums. Paul Feinberg (b. 1942) Paul Feinberg’s stories and photo essays of Washington life have been appearing in the Washingtonian Magazine, the Washington Post Magazine, and numerous national publications for over 30 years. Focusing on portraits of city life and personal relationships, his stories have included everything from “Days and Nights by the Bus Station” to “Mothers and Daughters.” “Best Friends,” his Washingtonian piece on long term friendships, was expanded nationally into his book Friends. Feinberg has had solo shows at the American University Museum at the Katzen Arts Center, the Washington Arts Museum, Washington Project for the Arts, the Picker Gallery at Colgate University, and University of the District of Columbia. He has been a part of group shows at Corcoran Gallery of Art, Washington Project for the Arts, Studio Gallery, Tartt Gallery, Kathleen Ewing Gallery, Jack Rasmussen Gallery, Osuna Gallery, and Arlington Arts Center. Margaret Boozer (b. 1966) Born in Anniston, Alabama, Margaret Boozer lives and works in the Washington, DC metro area. She received a BFA in sculpture from Auburn University and an MFA in ceramics from New York State College of Ceramics at Alfred University. Her work is included in the collection of the Smithsonian American Art Museum, The Museum of the City of New York, The US Department of State, The Wilson Building Public Art collection and in many private collections. Boozer taught for ten years at the Corcoran College of Art and Design before founding Red Dirt Studio in Mt. Rainier, Maryland where she directs a ceramics and sculpture seminar. Recent projects include a commissioned installation at the US Embassy in Djibouti and writing a chapter for U. S. Geologic Survey’s Soil and Culture. Recent exhibitions include Swept Away: Dust, Ashes and Dirt at the Museum of Arts and Design in New York. Robert Devers (b. 1960) Born in Shamokin, Pennsylvania, Devers received a BFA in Ceramics from the Kansas City Art Institute and an MFA from the Cranbrook Academy of Art in Bloomfield Hills, Michigan. He maintains a studio in Mt. Rainier, Maryland and has taught at the Corcoran College of Art + Design in Washington, D.C. since 1988. Devers is also the Visual Arts Coordinator of the Amalfi Coast Music & Arts Festival. His work has been exhibited in the Corcoran Gallery of Art, Washington, D.C., Ruth Chandler Williamson Gallery at Scripps College, Claremont, California, and the Smithsonian American Art Museum’s Renwick Gallery in Washington, D.C. Devers work is in the permanent collections of the Smithsonian American Art Museum, Renwick Gallery, the International Monetary Fund, the Museo Artistico Industriale “Manuel Cargaliero” in Vietri sul Mare, Italy and Museo Manuel Cargaliero, Castelo Branco, Portugal, as well as numerous private collections. Tim Tate (b. 1960) A Washington, D.C. native, who has been working with glass as a sculptural medium for the past 25 years, Tim Tate is Co-Founder of the Washington Glass School in Mt. Rainier, Maryland. Tate’s work is in the permanent collections of a number of museums, including the Smithsonian's American Art Museum, Renwick Gallery and the Mint Museum. He was awarded the title of “Rising Star of the 21st Century” from the Museum of American Glass and was also the recipient of the 2009 Virginia Groot Foundation award for sculpture. His work has been shown at the Milwaukee Art Museum, the Fuller Museum, the Asheville Art Museum and the Museum of Arts and Design in New York. He is a 2012 Fulbright Scholar recipient and was Artist-In-Residence at the Institute for International Glass Research (IIRG) in the UK. Mindy Weisel (b. 1947) Born in Bergen-Belsen, the only daughter of Auschwitz survivors, Weisel grew up in New York and Los Angeles. She began painting at age 14, studied at California State University and received a BFA from George Washington University in 1977. An acclaimed abstract artist, working in paint and glass, Weisel has had numerous international commissions and exhibitions. Her pieces are in the permanent collections of the Smithsonian Institution, Hirshhorn Museum, National Museum of American Art, Baltimore Museum of Art, The Israel Museum, and the United States House of Representatives.